Bring $35 cash for the breakfast and farm tour. No credit cards. Back by popular demand due to the positive response from previous trip. This is suitable for everyone. You don't want to miss this! SUNRISE ON THE FARM. Start your day with a warm breakfast followed by a hay-wagon tour of the UC Desert Research Center. 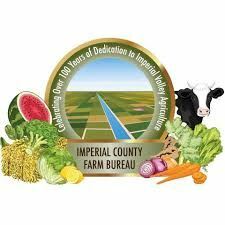 Tour will include U-Pick fresh vegetable harvesting, door prizes, and information on Imperial Valley's top 10 commodities. Mid day we will visit the nearby Holtville Hot Spring. See photos here. Bring your bathing shorts and towel for a soak in the hot springs. Bring lunch for a picnic at the hot springs. Next stop will be downtown Holtville for the annual Carrot Festival and Street Fair in the early evening/afternoon, and back home in time for dinner. Meeting Location: 6:30 AM Meet at PetsMart Palm Springs Ramon/Crossley MAP for 6:30 AM departure. Carpooling is encouraged and may be available if offered by a driver. You are responsible for arranging you own transportation or ride share. Arrive a few minutes early for briefing and carpooling. Distance is 109 miles, 2 hrs. travel time. What to bring: $35 cash for breakfast/farm tour (no credit cards), lunch, bathing shorts and towel. Then.... Lunch in Holtville at a restaurant or pack a lunch and eat at the hot springs. Relax, nap? Return to Palm Springs on your own. 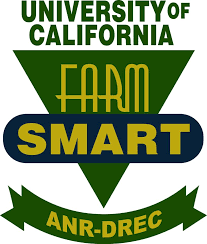 FARM SMART tours offer a unique experience covering agriculture in Imperial Valley. The tours also showcase research being done at UC Desert Research and Extension Center. The Imperial Valley is a hidden treasure in the United States. Due to the warm climate and water accessibility, there are hundreds of different plant varieties that flourish in the desert atmosphere. While the fertile desert houses university research and plant variety development—few seem to know the incredible impact the Imperial Valley has on the agricultural industry. Registration Note: Available to members only until December 10 when it will be open to non members and guests. Health Problems/allergies: Discuss any medical concerns with the hike leader that may affect your ability to complete the trip.